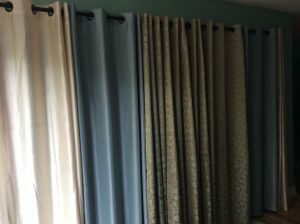 Let me share with you all the ways that my family’s history has made my vision of organization and de-cluttering functional without the stress. ** A word about the language I’ve chosen to use throughout this post. I am a proud child of immigrants, and immigration and its effects (good and bad) permeate all aspects of my family life. I am fully aware of the sometimes emotionally charged and negative ways the word ‘immigrant’ and ‘immigration’ have been used. I also know that there is so much good that can come from people choosing hope over complacency, leaving one way of life, and reaching for another. It is simply a word that designates a person that leaves one nation-state to go live in another nation-state. I use the word “immigrant” with this simple definition in mind. I choose to focus on all of the positives that can come from such a drastic and daring move. Now, let’s get to organizing. When it comes to organizing my Family life, the most important thing for me is speed. Getting it done and keeping it done. To help me do this, I looked to my parents, my in-laws, and grandparents. What did they all have in common? 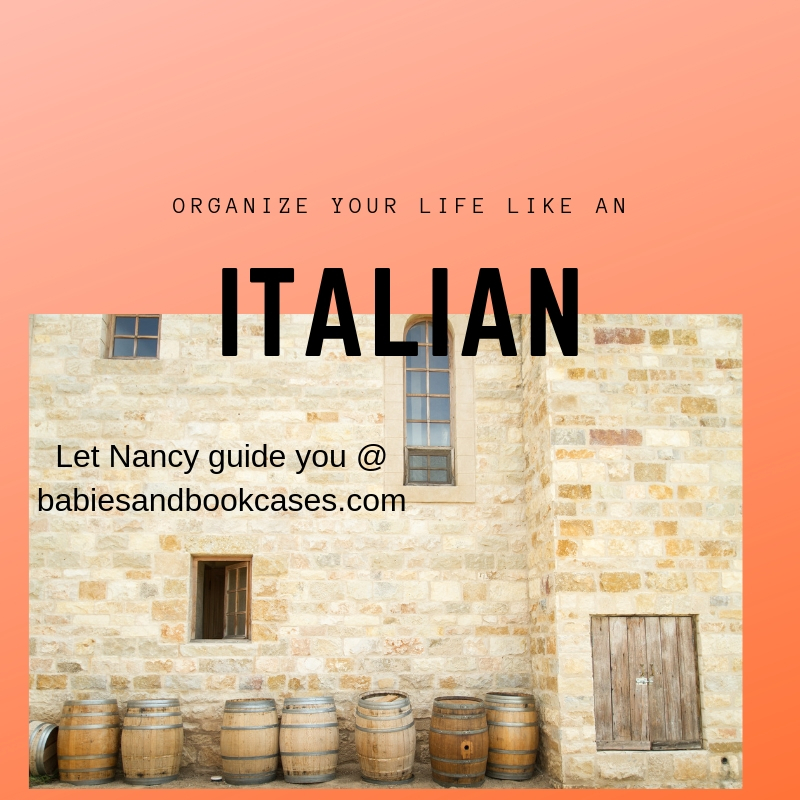 I realized that my organizing style and philosophy come from my post-war Italian Immigrant family. Their world view and perspective has helped keep my life and my house in order. Their choice to immigrate to North America had a significant impact on their lives and, subsequently, on mine. When confronted with a choice, I hear their voices guiding me (in a good way, mostly). Just the other day I was taking out the recycling when I came across a box that our Christmas Panettone had come in (Panettone is sweet egg bread with raisins and candied fruit in it…classic Italian Christmas fare). I held the white box and immediately thought (echoing my grandmother and father simultaneously): “This is a good box. This is nice sturdy cardboard. It would be a shame to throw this out.” So, what did I do? You guessed it, I kept it. The key to not making my rescued box become a burden as clutter is that I immediately gave it a vocation. It’s been decorated beautifully by my daughter and is now a box for keeping her birthday cards in. 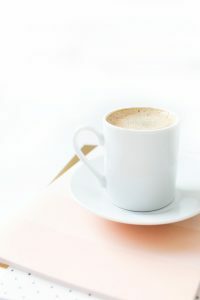 I am convinced that my desire to get my house together quickly and efficiently is connected to my Dolce Vita roots. 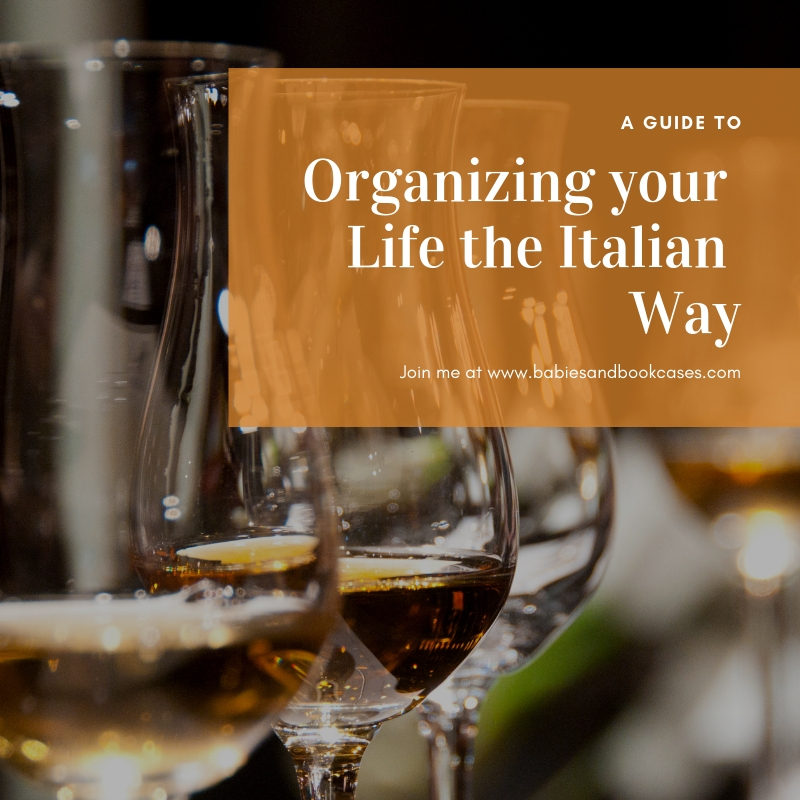 My sense of family, my philosophy on what it means to lead a good life and how I prioritize my time are all deeply connected to my Italian heritage. It leads me to prioritize the enjoyment of my aesthetically pleasing space, and my life, as soon as possible. As much as I like organizing and labeling everything, I like enjoying a neat and peaceful space more. The organization is never the end-goal. It is the necessary step I must take before I get to the good stuff–living my life. Want I want is what you want, an organized space. What I don’t want is to spend a lot of money on shelving systems and expensive boxes and bins. I don’t want the process to take a whole day. I don’t want it to involve an existential crisis. For those of you who aren’t familiar with the latest organizing trends, here’s a brief synopsis. You can either talk to your stuff a la KonMari method or imagine your own death while tidying like the Swedes. Now, of course I’m oversimplifying, but not by much. The latter method is a Japanese system (popularized by a book by Marie Kondo) which requires that you take all of your stuff out, ask yourself whether or not it brings you joy and then put back only what you love. If you’re having trouble parting with something, she suggests thanking it for its service and letting it go. She now has a series on Netflix that has brought the spotlight back onto her method of organizing. Her system is great in theory, and I know many people that have successfully implemented her methods. For me, in practice, it doesn’t work. I tried it with my clothes and it was a fail. I don’t want to dedicate that amount of time to organizing (she recommends setting aside a huge block of time and going through your category of choice in a day). I can’t live with a pile of books and papers in the middle of my house while little children invariably carry off items to build a nest in another room. Differently, the Swedes prefer that you just go through all your things and de-clutter by thinking of what you’d like your loved ones to have to riffle through after you’re gone. You can go room by room and not necessarily by category. This is a system I can relate to more closely. My Nonna Marcellina was the queen when it came to paring a room down to the essentials. My stepmother has followed in her footsteps. I’ve never seen someone go through old photographs so quickly…dump…thump…out…they were gone before my sister and I knew about it. The Swedish idea of death-cleaning popularized by Margarete Magnusson is one where you pare everything down so that those who survive you have less to do. Great idea. My grandmother used to clean up and purge with this idea in mind. She was also in her late 70’s when she told me this. I love the idea of this …momento mori….it keeps things in perspective and removes some of the drama of giving away a scarf. Here’s the trouble, I’m in mid-life (never mind the exact number ??!!) and my kids are still young. Attacking my junk drawer with this death-cleaning philosophy in mind, makes me want to weep. Cleaning in this way would mean I’d just have a wet junk drawer and children asking why I’m crying. 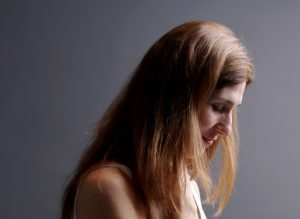 When I see that the state of my space (room, corner, whole house …) is interfering with my enjoyment of it, I put some of the following tips to work. I don’t overhaul my whole room, necessarily. I fix what is bothering me in the moment, and I organize/declutter until I feel good about my environment again. That is how I test to see how much I need to do and how I need to do it. This is how I choose to set aside time for organizing my space, based on an inner sense of what needs doing, not on a set of rules. 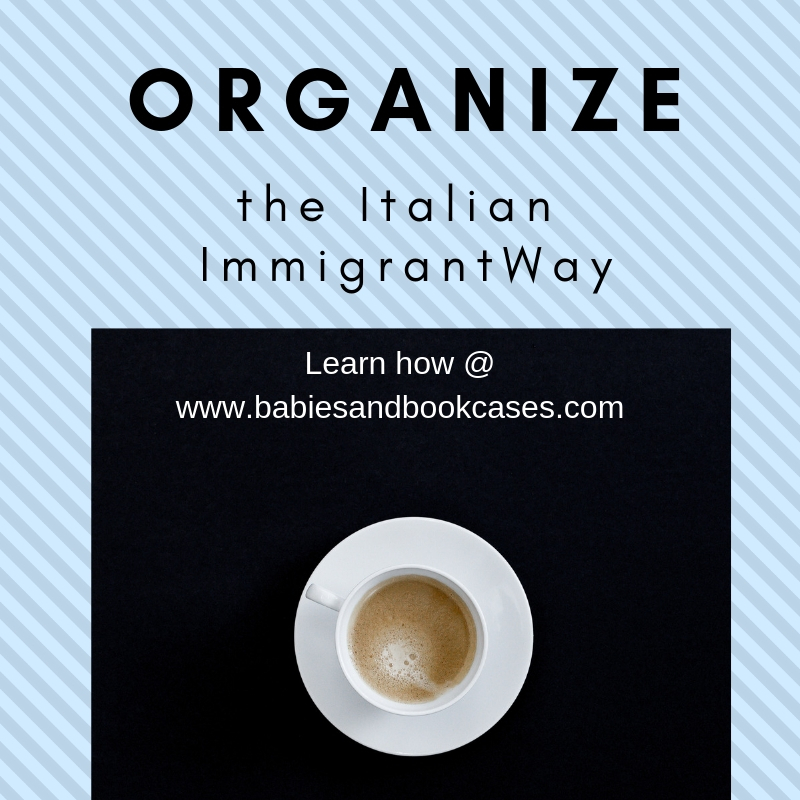 Let me introduce you to the Italian Immigrant organizing philosophy. You can quote me on it because I just made it up. It’s cheap, efficient and attempts to hide away what you can’t or won’t throw away. Italian homes don’t have closets built into the walls the way we do in North America. They use Armoires and Chests of drawers to hide their stuff away. Whatever is left out is beautiful and/or useful. When possible (and its almost always possible) Italian utilitarian items are designed with care so that if they have to be left out, they’re easy on the eyes. I love and collect Alessi products for that reason. They are useful, durable and beautiful. My in-laws, parents and grandparents never used an expensive filing cabinet or filing system. They used a drawer that had different piles (sometimes in file folders, even hand made ones) to keep the paper in categories. Bills, taxes, receipts, etc. Nothing got lost, everything was in one place, unnecessary paper got tossed immediately because the drawer always had to close, so they had no choice. In the case of my in-laws the paper-drawer lived next to other drawers in a beautiful bureau where shirts, underclothes and nightgowns also lived. It was in their bedroom. My parent’s drawer was the top drawer of an antique dresser that my father restored. Beneath the paper drawer were drawers for the cutlery, a drawer for the good tablecloths and one for the cloth napkins. It was in a credenza in the dining room. It was full but never over-flowing. I keep the simplicity of this system in mind when I feel overwhelmed by paper clutter. Since my husband and I need to keep work-related items at home, we need more than a drawer, but when I feel tempted to buy more file cabinets, I take a good look and remember my parent’s drawer. It had to close, so useless stuff got tossed. I get rid of what I don’t need and I try to keep it in containers and cabinets that are beautiful to look at. Why not choose a beautiful chest of drawers or wooden boxes instead of a metal filing cabinet destined to be hidden away. Since I do have several closets in my home, I do use them, but I use them the way I would an Armoire. Armoires are great because they are beautiful to look at and they invite you to open them up. If you’re a fan of the Narnia series, you know why I love the idea of an armoire or wardrobe! In fact, my dream is to replace my hall closet with an armoire. Aside from their beauty, armoires are great because they also have shelves….lots of shelves. Now, my closets do to. Some of them have regular wooden shelves that were put in by the previous owners, but I also found an inexpensive rack system at the hardware store that did the trick. The shelves allow for a better use of the space, with folded sweaters and bins for socks. When I open the closet, I want it to be a pleasant experience. This is what keeping the armoire-method in mind has done for me. When I see the rows of shelves with neat stacks and baskets, I feel like my closet is an old armoire full of treasures neatly organized. Ideally, I’d have little sachets of lavender hanging throughout, but I’m working on it. 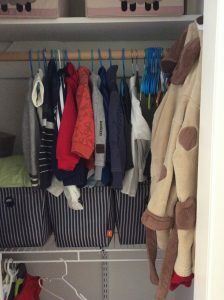 Having said that the closet should be beautiful in the end, I still stand by the idea that we need to ‘shut the drawer and the door’, as it were. The closet is full of stuff. The stuff in it (like clothes and baseball caps) is not something I want to look at, hence the need for doors. Armoires have doors and so do closets. I have to be able to get at what I need, but I want to be able to close the door and not see it. In the master bedroom, I have a very wide and shallow closet. Putting doors on that thing would have been cost prohibitive, so we used curtains. Close the curtains, the stuff is out of sight. Italians, in general, are not into open shelving where all of your things are exposed all the time. We like armoires, we like doors, we like the stuff of everyday life to be neatly put away. Keep your cosmetics in a drawer, not in expensive plastic organizers that clutter up your counter. Use your closets to house stacks of jeans and folded scarves. Don’t invest in systems that leave all your stuff on display ready to get dusty. Put it away. Fold it up. Get it on a shelf and close the door. Once I tried an over-the door hanging system for my scarves. They got dusty, I got sick of looking at them and I was reminded of the very practical reason my fore-bearers would never have gone for something like that. My family comes from small-ish Italian towns amidst agricultural areas. In the summer its hot and dusty and the last thing you want its to have to re-wash your clothes and dishes because they’ve been exposed to the dusty air and can’t be used until you de-grime them. If you have to invest in anything, it’s shelving for your closets. Not fancy stuff, just shelves where you can place things off the floor. As a side note that’s another big thing in my Italian family…no stuff cluttering the floor, so you can vacuum and mop easily. Clean floors were and are a big deal in my extended Italian family. To sum up this first point for you: invest in shelves, use your drawers creatively, find ways to close the door on unsightly things. When you put your stuff in your closet, try to think of it as an armoire. You’ll keep less and you’ll put it away more neatly. Armoire makes your space feel like it has old-world charm. It’s better than closet. I use baskets whenever possible. 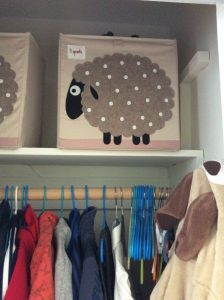 I use baskets of all sizes and shapes, preferably woven baskets made of a natural material, but since I have bulky children’s items lying around, I also use square shaped baskets and bins. These are the ones I’m liking a lot lately. One caveat though, we’re still in organizing mode over here, so don’t mind the imperfect state of the closet. I thought a dose of real-life on the internet was a good idea. Besides that, do note the two shelves and the two different types of bins I used on each. The top shelves have this fantastic bin for kids stuff by 3 sprouts and the other one is from Walmart and is a great all around bin by Neat Freak. I’ll show you an after of the closet if you would like to see it. Let me know in the comments. My favorite basket. It was my late mother’s basket and sat in the living room when I was a child. Using baskets made of natural materials is always my preferred choice because not only are they useful, but they’re beautiful as well. Baskets remind me of my small-town Italian roots, of the Italian countryside, of my family. Using them sparingly in any decor adds warmth. It makes that particular corner of your house feel like a Tuscan farmhouse. Who doesn’t want that? So, baskets find their way into my pantry, on shelves, on table tops and in children’s rooms. They keep small items (i.e.toys found in chocolate eggs) contained. Everything looks put together if it’s in a pretty basket, even little toys become decorative. One of my fondest childhood memories is digging through a beautiful basket full of pencil crayons, working on an art project with my cousin at my aunt’s house. Thinking of that beautiful basket with all its colorful contents still fills me with joy. 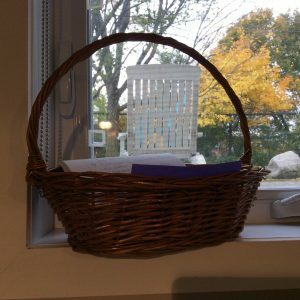 Since I embarked on an organizing re-fresh this winter season, the basket on my window-sill houses all my labels, masking tape and Sharpies. As I mentioned, the projects are ongoing, so I wanted to have a place to have my supplies at the ready that would also inspire me. Having my supplies on hand makes me want to keep going with my project. What’s great about this way of organizing is that everything is categorized and corralled by the basket. Again, use the shelves in your closets to keep the baskets in one place and out of sight if you don’t immediately need what’s in them. I can’t over emphasize the power of this. Italian design is clean and sleek because the stuff you don’t need on hand is behind closed doors on shelves, organized by category. Clutter is not part of our design vocabulary. It’s part of my life because I live in the real world without a staff of seven taking care of my home, but I know when I see it in my environment that I need to find a solution for it. Piles of random things here and there are not part of the Italian aesthetic. Keep it neat and keep it contained. Use baskets to contain the things that don’t have a drawer or dedicated closet shelf to live in. Use baskets to divide your closet shelves. Use empty baskets as decor to remind you to make room for empty space and free-time in your life. Whenever I need to find a place for something, my instinct isn’t to buy a container, my instinct is to FIND a container. I have to find a place for keys that are lying around, I use an old vase that never worked for flowers. I need an umbrella stand, use an old crate. Have to find a way to store all the LEGO? I re-purposed a bar cart (yeah portable LEGO!). Italian modern design is affected by Italy’s history. When times were tough in the first half of the last century, people were resourceful. They used things in unexpected ways. Keep that in mind when purchasing decor items. This is a guiding principle for all purchases that make it into my house. Let me take you on a virtual shopping trip. Let’s say I’m out shopping and I come across a section of beautiful fall decor. With me at the back of my mind are my frugal grandparents, entreating me not to waste money. I still would like to buy a decorative pumpkin to spruce up the living room. It will eventually be placed with the real pumpkins I’ll pick up when they’re in season. Such changes in decor signal a change in season for the kids and it helps us keep our rhythm as a family. Will I choose the ceramic pumpkin figurine? NO. Will I choose the ceramic pumpkin plate? Maybe. It would be a contender if I could also eat off it (so I check if it’s food safe). Now it could serve several purposes. Will I buy the ceramic pumpkin jar with a lid? Let’s see. It can be used to store ugly but useful things (hide that stuff away!!! ), it can be used to store cookies and other food (always useful), it can also be used out of season to store other smaller fall related items that I don’t want around all year (fall stickers and Halloween pencils, pumpkin stamps and orange felt). Now we’re talking….I can use it now in several ways and then use it to keep out of season stuff in my storage area of the house. WIN! As a general rule, because of my immigrant background (my maternal grandmother taught me to be thrifty!!) rather than buy decor items, I always try to use what I’ve already bought. Bought some Amaretto cookies that came in a great tin, yeah!! Now that tin is on display and I keep essential oils in it. Nonna Maria would be proud. Italian goods are usually sold in beautiful packages. 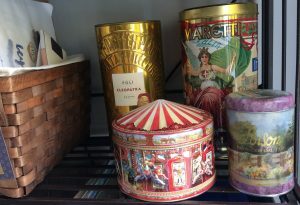 I love to eat the cookies, pasta and candy, but I also love that it comes in a great tin/box. Now I have two for one and can use these containers as decorative and useful items around the house. Most of them are also food safe (because they came with food in them), so I use them in my pantry as well. 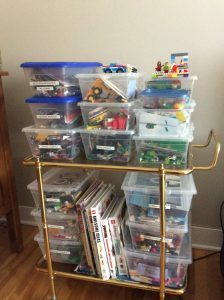 Why buy plastic storage containers, when you can use what is on hand? Coffee Canisters are a great example of that, but there are so many examples. Even the bags that Italian coffee beans come in have beautiful graphics. They are really sturdy and once you’ve washed them out, they make for a great way to store small things in an interesting way. Great for Lego and small toys like wooden blocks, they’re very useful. Since we like a certain brand of coffee, I end up with multiples of the same bag which makes it easier to use in my open-concept home. Italians like symmetry and repetition, so my heart sings when I see a row of the same type of bag with the same graphics. Buy what you like and think creatively. Here the Lavazza coffee bags house flash cards that the kids need to have on hand, but that I don/t want to look at. Keep your eyes open for beautiful packaging when you buy things. It might be more expensive, but not if you think of it as a two for one! This is probably the hardest principle of Italian immigrant organizing. Chose a style, chose a color scheme, choose a look and stick to it. My grandparents, parents, aunts and uncles didn’t have a lot of cash to throw around when they first moved to North America. They bought what they loved and they kept it for a LONG TIME. Buy quality items that you LOVE and stick with them. Pick a color scheme that you love, that you won’t tire of. 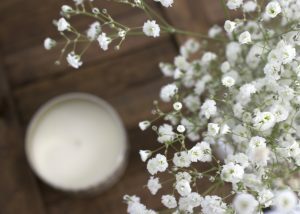 One that is simple and neutral and natural. Now, the hard part is that you have to stick to it. I bought stuff twenty years ago that I loved, that I still use and that is still in great condition. Buy good quality and enjoy it for a long time. The hard part is not getting caught up in wanting to change. My grandmother’s would say, if you love it now, if it speaks to your soul, it always will. Don’t buy a lot, buy and keep what you love. Pick a color scheme you Love and stick to it. Earth tones are always a win with me. Good quality items deserve respect and deserve to be used. Your grandmother’s china doesn’t fit your color palette, but it’s gorgeous fine china… use it anyway. 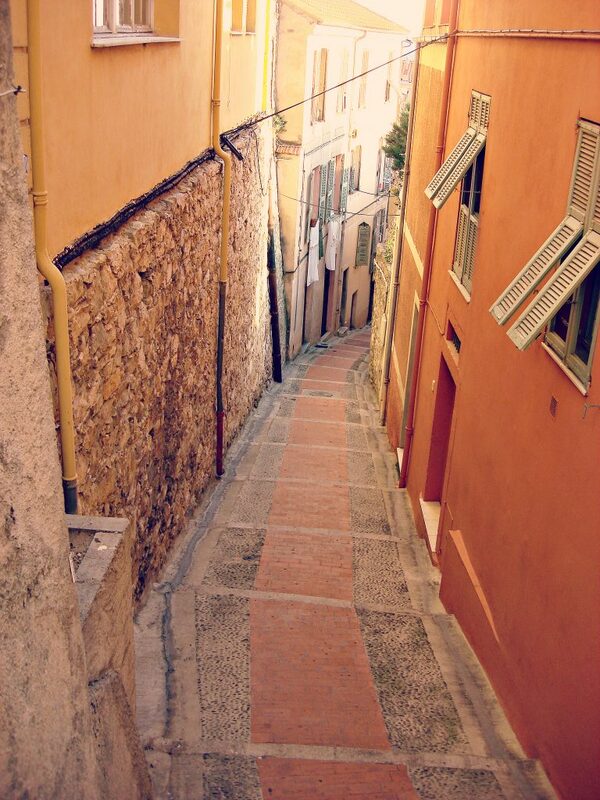 Italian homes have character. Character comes from really great stuff with history. Keep what is worth keeping. It won’t match, but that’s okay. What the ‘stuff’ has in common is you. That will make it work together if you choose things you love. 3) You have to love it. If you don’t love it, find some one who would like it. Even the good quality heirloom stuff doesn’t deserve a spot in your house if you don’t like it at all. My grandmother kept a mish-mash of all sorts of things, but because she kept only what she loved, the items all worked together. Your home should reflect who you are over the long haul. In this way, my method agrees with KonMari. Your home can only reflect who you are if you put stuff in it that you love. This only works if your items are of good quality and will withstand the test of time. Remember, you’re buying items that can be used in multiple ways and so they’ll need to be sturdy. If you are purging or trying to get rid of stuff, keep the three rules in mind. You don’t need to talk to your things the way the KonMari method suggests you should, just ask yourself if it fits with your color scheme. If it doesn’t, you can donate it, paint it, give it a new life in another way. If it’s broken or almost broken, get rid of it or re-purpose it (broken china for a mosaic table or garden pathway, cheap kitchen utensils as garden/plant/row markers). See where I’m going with this. Take the not so great stuff outside and use it there. No quick fix purchases. No throw away furniture. No garish/overly bright colors you’ll tire of. Buy it neutral, buy it sturdy, keep it for a long time. My family has given us furniture they bought thirty years ago and we’re happy to have it. It still looks great and our style is simple and modern which means well-constructed good quality furniture will always look good with what we already own. My cousins have also been able to integrate their inherited furniture, so this is something that I’ve seen work in several settings. If you can’t afford to buy the good stuff, try thrift stores and second hand shops for well-made furniture that might need some TLC, a coat of paint or fresh varnish. Be creative. When it comes to well made, high quality items made from genuine materials (wood, silk, wool etc), you can easily work with them and make them yours. Pinterest is full of great ideas. Do some searching. For example, spraying a dark colored wood with white lacquer could make for a stunning transformation of a beautiful piece of wood furniture that was once part of a bedroom set from the ’70’s. In white lacquer, it could work as part of a living room. My home is a work in progress, as am I. This is the fundamental principle to keep in mind. Had my family stayed in Italy, I’d be living amidst century old furniture and in my family’s ancestral home. I’d be organizing my belongings in a setting very different from the one I am currently working with. The fact that my grandparents and parents did choose to leave Italy to come to North America means that I also have an extra set of principles to draw from. It comes down to keeping what you love, which is similar to what KonMari suggests, and paring it down to what you need and use, which echoes the death -cleaning of the Swedes. Since the Italian peninsula is a very varied place with differences from region to region, it is hard to speak of it as one way to be, or as having a singular aesthetic. The immigrant experience is one that transcends those differences and that infuses everything with a no-nonsense frugality that informs every purchase and decision. What the Italian-immigrant experience brings to the equation is a sense that we are entitled to be surrounded by beauty even if we don’t have a lot of money. It reminds me that everything that is important should have a place to live in my home (if it doesn’t, is it really important?). My heritage shows me that we shouldn’t waste resources by buying objects that are of poor quality. I am convinced that when we’re organizing our homes, we are curating our belongings and curating our life. Your home is your museum. Curate your belongings, so that they reflect who you are and how you want your family to be. A family’s heritage is hard to escape in an old-world environment where my grandparent’s grew up, This long-term perspective has to cultivated in a newer space. The long-term perspective has helped me. 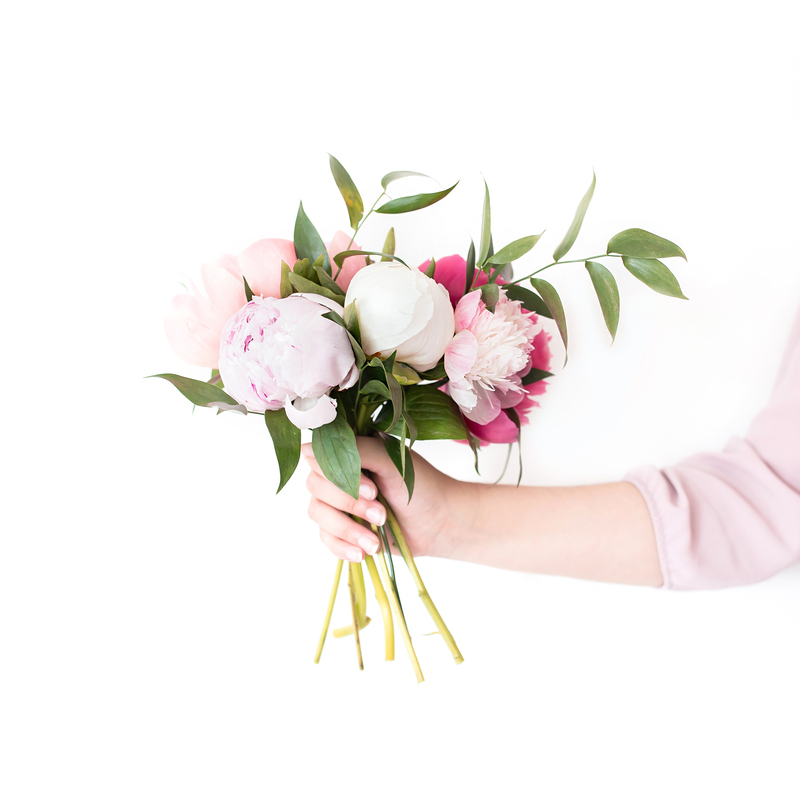 I hope these tips helped you find a road to order and beauty amidst a busy life. What things do you admire about Italian Design? Share your experiences of Italian design with me. 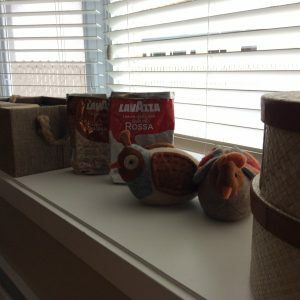 I’d love to hear about what you love and dislike about the Italian aesthetic. Share some thrifty organizing tips from your family in the comments section below. Let’s make this process of tidying up easier for all of us! Interesting post! I like the idea of having your containers also be beautiful.